Virtual meetings are increasingly gaining popularity amongst most startups, small- to medium-sized businesses, and freelance workers as an alternative to in-person gatherings, and it’s easy to see why. In a lot of ways, virtual meetings offer an almost unparalleled level of convenience for business-savvy entrepreneurs and business owners by allowing company personnel to participate in meetings from remote locations around the globe. While that’s definitely an incredibly innovative feat that works wonders for a lot of companies, it doesn’t necessarily mean that virtual meetings are a workable option for every business. A lot of businesses continue to thrive on the good, old-fashioned model of face-to-face meetings. Ultimately, it’s up to business owners to decide which one is the most appropriate choice for their companies, but it’s good to know that meeting room rentals in metropolitan areas like Ottawa are still a viable option. Virtual meetings certainly have a lot of merits, but there are also a lot of disadvantages that can cause a lot of inconvenient delays, miscommunication of pertinent company information, security breaches, and a great deal of confusion amongst your staff and clients. To put things in perspective, here are a few disadvantages of holding virtual meetings and reasons why opting for renting meeting rooms might make more sense. There’s nothing worse than spending a great deal of time, money, and resources preparing and planning for a meeting, only to have to abruptly cancel it due to annoying technical issues that can’t be immediately identified or fixed. Unfortunately, this can be a major hindrance for companies that rely primarily on virtual meetings or telecommunications as their main form of communication with their employees and clients. It might make sense to set up virtual meetings if you work within a global enterprise that has a large sum of international employees and clients that must be included, but it can also be very cumbersome when things go south and communications become disconnected. In order to be able to conduct virtual meetings successfully, all of the participants must have a strong Internet connection that won’t give out on them halfway through the meeting. Not only that, it’s also important that all Internet connections and IP addresses are secure to ensure the safe transferring of sensitive information between participants. Unfortunately, there’s no way of making sure that all meeting participants are using a secured network and this can increase the chances of breached web security and confidential information being hacked or leaked inadvertently. To avoid this problem, you should consider meeting space rentals in Ottawa. Never underestimate the value of communicating with people in person. A lot of social cues are more easily expressed and understood when you hold physical meetings that include facial expressions, vocal tones, and gestures that indicate levels of respect (i.e. shaking hands before and after meetings). All of these nuances hold a great deal of importance in the business world and they’ll most likely always remain relevant. Let’s face it: in today’s world, where people’s eyes are constantly glued to their phones and social media exists, distractions and inattentiveness are at an all-time high. People are constantly multitasking when talking on the phone, and this is especially rampant during virtual meetings. The reality is that most people are only really half-listening, because most of the time, they’re usually thinking about other things and they often miss a lot of the important content being discussed. Physical meetings can help to diminish or even fully eliminate this problem because they’re usually more engaging to the senses through the use of interesting presentations and face-to-face interactions. Another problem with holding only virtual meetings to discuss product launches, company policy changes, and other company-related business is that oftentimes, you don’t get a chance to get to know your coworkers, employees, or clients very well. This can make it difficult to gauge their character, their work ethic, and especially whether or not they’re a good match for your company. There are a lot of things you can only really determine about people by meeting them in person and spending a significant amount of time working with them and divulging ideas. This one concerns companies whose employees mostly work abroad. Long distances and different time zones can make it extremely difficult to coordinate a meeting date and time that works for all parties involved. However, it’s not always feasible for small companies to fly in employees from their remote locations to attend a business meeting because this would also mean providing their accommodations as well. As a business owner, you need to examine whether this is something you can afford to do for your employees. In some cultures, holding physical meetings gives the impression that companies value their employees’ time and input. In a lot of cases, meetings are opportunities for employees to pitch new ideas, express concerns about company policies, and voice their opinions about various company activities that are taking place. If you only hold virtual meetings for the sake of convenience and saving people the need to commute, then you’re effectively discouraging employees from openly communicating with one another and they’ll be less likely to participate in your meetings and/or contribute their ideas. Professional meeting facilities in Ottawa can help to eradicate the majority of the above-mentioned problems for business owners and CEOs. Not only are in-person meetings far more engaging and interesting for your employees and clients, but they also afford greater opportunities to openly discuss company matters in a safe space and your employees can get to know one another a lot better. 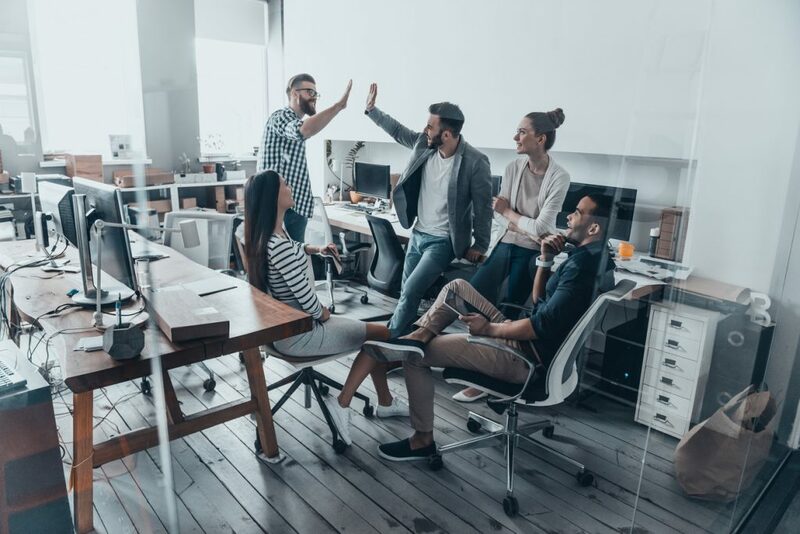 Ultimately, this will create a healthy and cohesive working environment for your employees that will generate more innovative ideas and prosperity for your company. Innovative Professional Offices is an excellent resource to use if you’re looking to rent meeting rooms in Ottawa, Toronto, Brampton, or Mississauga. Our facilities come equipped with a wide variety of services and the important tools you need to help you run your business and make it a success. We offer both virtual and physical serviced office spaces with customizable rental packages that are specifically designed to suit the individual needs of your business. Contact us to book a tour or a consultation with one of our representatives.